This article gives an introduction to the Forest Schools movement, its background and principles, and how these can be applied in the context of out of school clubs. Access to this article is restricted to members of the Out of School Alliance (OOSA). If you are already a member, please use the Login link at the top of the page to sign in. 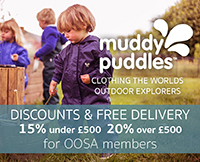 If you have not yet joined OOSA you can sign-up today and start enjoying the benefits of membership right away.